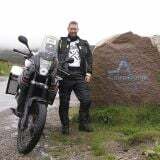 I'm going to be riding down to Exmoor/Dartmoor on Sunday to get my 1st ABR Nature Rally visits done. If you fancy joining me I can meet at Gordano Services J19 M5 @10am or Sainsburys carpark Taunton (just off J25 M5) about 11am. Post here or on the groups. You going on the GSA or the 650Gs Peejay? I MAY be up for this one, but I'll advise closer to time via text! 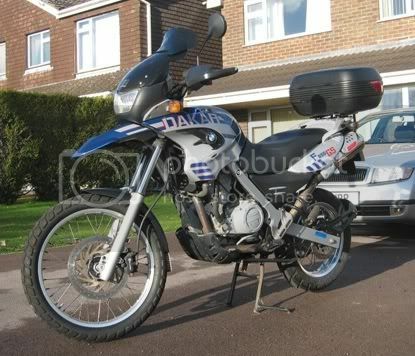 VersysRider wrote: You going on the GSA or the 650Gs Peejay? Well, you need to take your new steed for a spin at least? VersysRider wrote: Well, you need to take your new steed for a spin at least? Top box is quite ghastly isnt it? Hi guys – firstly I'm up for a little trundle around on Sunday, so long as we're back in time for the MotoGP coverage at teatime Given Jules normally rings on Monday to chat about the race I kind of need to watch it. Secondly, Peejay that's a nice looking bit of kit. Set sky box to record Lee! We should be OK, the race coverage doesn't start 'til 6:30 – it isn't that far to Dartmoor and back.